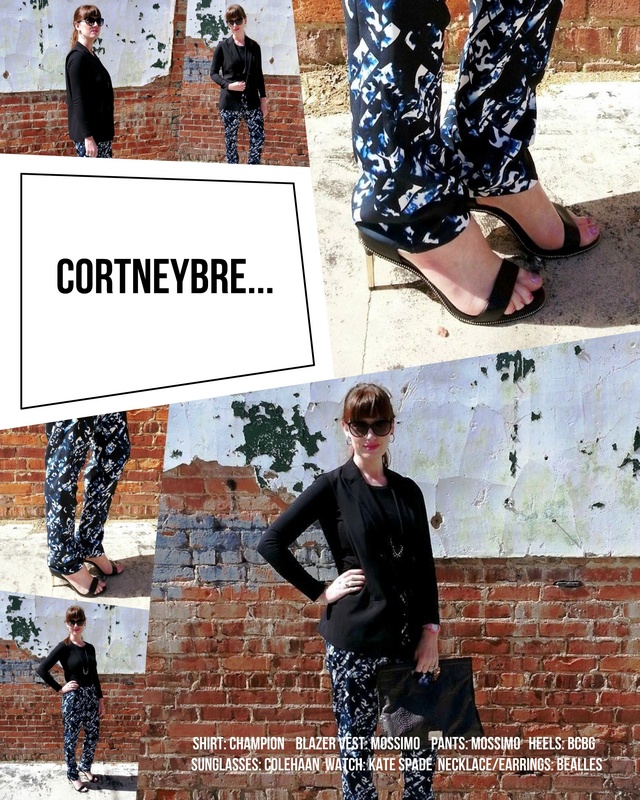 Casual Friday – Pulling off patterned pants! Well, Happy Friday! As it’s also Casual Friday, I wanted to be truly casual today. Which for me translates to pants with heels. (Yes, that’s as casual as I get during the work week). When I first put on these pants…I’ll be honest…I wasn’t so sure about them. I could vaguely hear the theme to Miami Vice playing in the back of my mind – and I’m too young to even remember that show! I did, however, LOVE the way they fit at the ankle and once I added this great blazer vest, they looked really hip and stylish. Also, as it’s warmed up a bit, although I think the Polar Vortex will grace us once again before Spring, I popped on a newly bought pair of BCBG heels from Shoe Dazzle. These babies have been patiently awaiting their debut and its been so nice to have my toes exposed for a bit! (Ewww…I know…but if you’d been as bundled as I have the last few months you’d understand)! « Looking tres Parisian in Kate Spade! I always love your ensembles- they have the perfect amount of whimsy and fun!! I LOVE these pants. I don’t see Miami Vice at all!! But I totally understand what you mean- I think it’s just totally chic!